Happy Thanksgiving to all my readers, friends and family. I finished my last day grocery shopping yesterday. I love the chaos at the grocery store in the final moment. You will think I am crazy, but I like it. 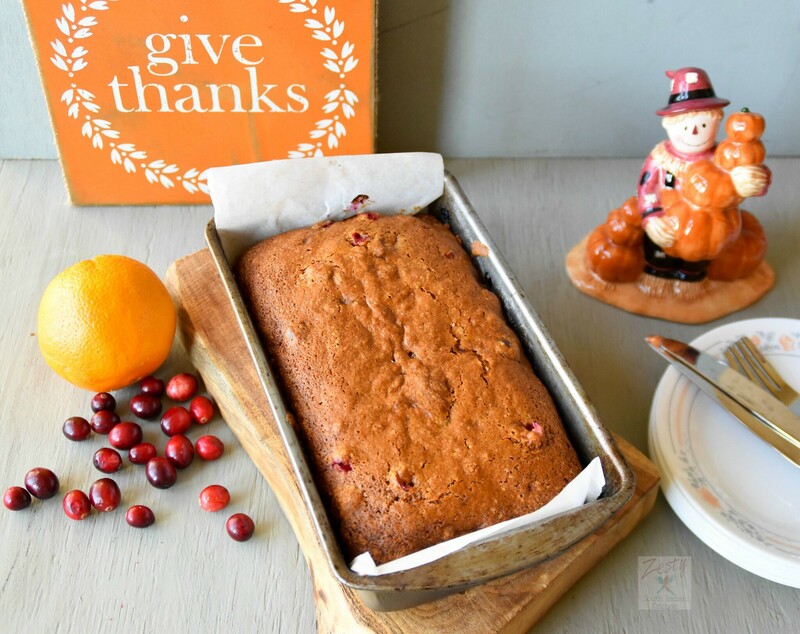 Before going shopping I made this delicious Pumpkin orange cranberry bread. This is ultimate combination. I used fresh cranberries. Even though I have frozen berries in my hand. Trust me this is one of the best desserts for your Thanksgiving table. 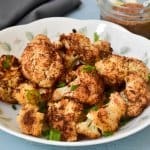 My hubby wants a vegetarian Thanksgiving dinner this time. And that means no chicken or turkey, I am going to make curries and desserts. 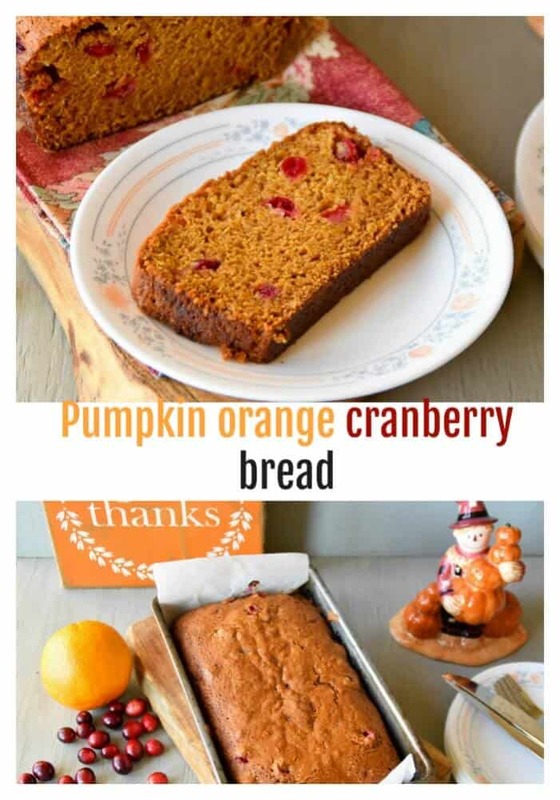 Along this I am going to serve this pumpkin orange cranberry bread. I think it is like life, with sweet always balance with tangy bitterness. 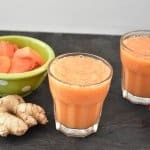 Pumpkin and orange juice makes the sweet part along with sweetener. Then tangy red cranberries are like jewels. “If the only prayer you ever say in your entire life is thank you, it will be enough”- Meister Eckhart. I am thankful to my family, kids, friends and God. This Thanksgiving please make sure to give thanks and that is superior gesture you can ever think off. 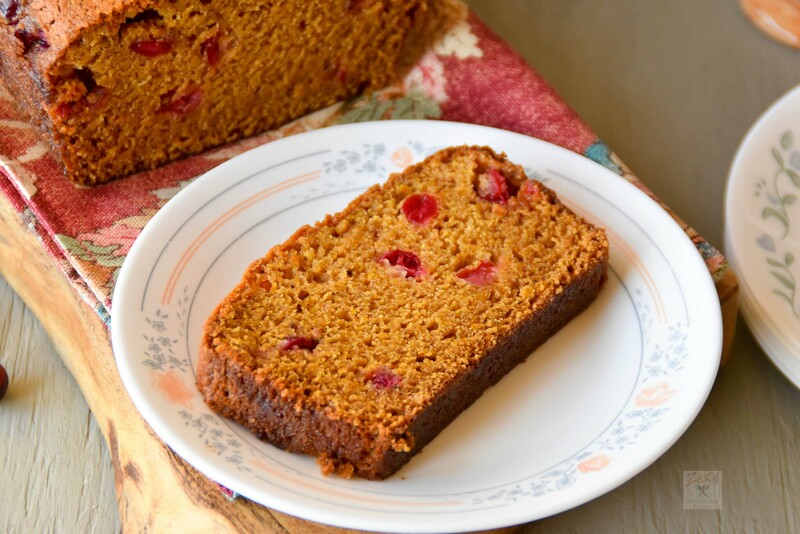 Coming back to recipe, I used canned pumpkin puree, fresh cranberries and fresh orange juice. Use fresh if possible. I think that adds great texture as well as taste to it. Also used pumpkin pie spice which homemade. I didn’t add any vanilla extract as I don’t want any flavor other than pumpkin, cranberry and orange. If you want you can add it. This is delicious by its own, you don’t need any glaze and I think that makes it sweeter. 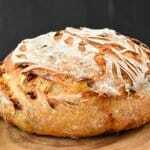 This recipe makes a whole loaf you can double or triple depending upon your requirements. 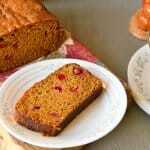 This is a perfect fall themed quick bread, you can mix everything in a single bowl and bake it and enjoy. 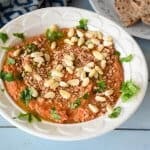 It is great for breakfast or desserts. I didn’t add any whole wheat flour and if you want you can try that, may be ¾ cup will work. 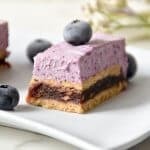 This is great for last minute dessert idea. You can serve this with scoop of ice cream if you want. It is Thanksgiving, so give thanks and enjoy the feast. 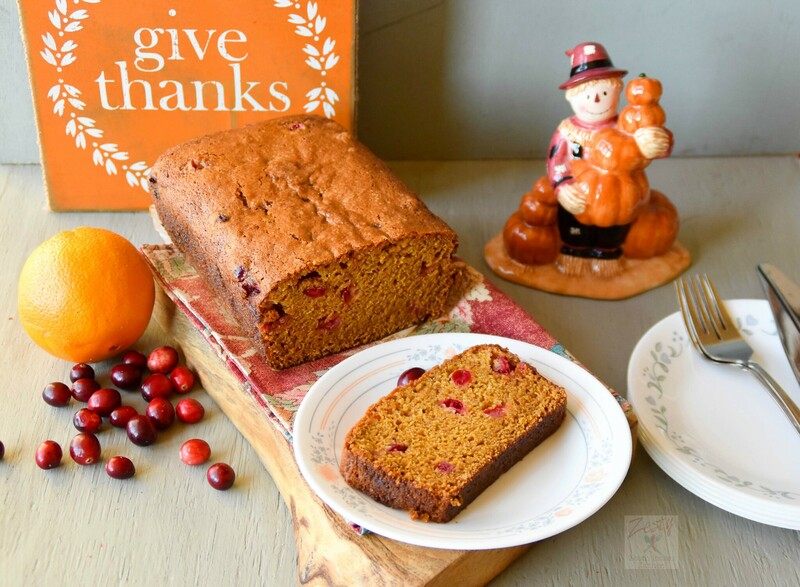 Delicious pumpkin orange cranberry bread. Great addition to your Thanksgiving table. 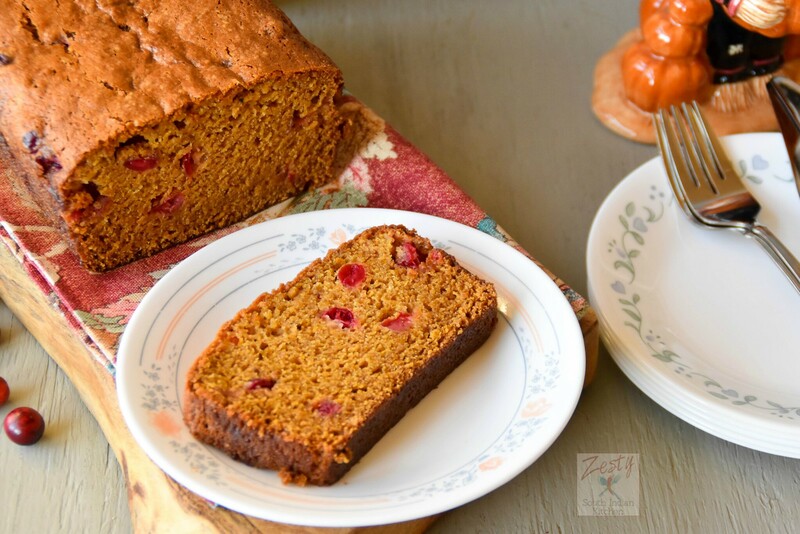 Perfect fall themed quick bread. I used fresh berries and orange juice to brings out maximum flavor. Pre heat oven to 350F Line 9x5 loaf pan with parchment paper and set aside. In a bowl add 1 ¾ cup flour, salt, baking powder, baking soda, pumpkin pie spice and mix well. In a bowl add egg and oil and lightly beat well. In a bowl add halved cranberries and 2 tablespoon flour and mix well. This will prevent the cranberries from sinking down while baking. To this add sugar, pumpkin puree, egg and oil mixture to flour mixture and combine well. Finally fold in cranberries and transfer to prepared baking pan. Bake it at 350F for about 50 minutes or until tooth pick comes out clean. Slice them only when it is completely cooled. Looks so soft and moist…yummy!